This month marks a year since South Africa hosted the FIFA World Cup, and it has been a very interesting month, although totally unlike June 2010. Last June 11, South Africa was absolutely electric with the excitement of the Bafana Bafana vs. Mexico kick-off match. I had my Bafana Bafana jersey on, my vuvuzela and South African flag in hand, and was generally running amok at the Melrose Arch fan park. The drive to the fan park had been unreal, every car was draped in the South African flag, drivers were blowing their vuvuzelas between gear changes and Japanese tourists kept taking pictures of a friend and I dancing in her convertible during stand-still traffic. It was an indescribable day. Several foreign dignitaries were present, notably former President Kenneth Kaunda of Zambia, who had housed the ANC in exile in Lusaka during the anti-Apartheid struggle, as well as numerous ANC dignitaries and members of the Sisulu family. The packed stadium repeatedly rose in song, the somber funeral tunes accompanied by the slow swaying of mourners and the undulation of ANC flags. One couldn’t help but feel that everyone was not just mourning the passing of MaSisulu, they were also mourning the ending of an era in South Africa. Madiba and his generation of ANC leaders have been the rudder and anchor of South Africans for so long and the thought of them no longer being there to guide us is almost too much to comprehend. Madiba’s wife, Graca Machel, read a message from Madiba, who had said that he could not bear the pain of attending MaSisulu’s funeral in person. His words to MaSisulu were heart-wrenching. “Your children and grandchildren came to inform me of your passing away and instead of me comforting them in this hour of loss and grief, they had to comfort and console me. It is difficult to describe the pain and sadness in my heart as I bid goodbye to a dear friend and comrade, a sister with whom I shared so much over a lifetime.You are so much more than a comrade; you are part of my being – you and Walter. I want to express my deep gratitude to you.” This coming from a man who, despite living an unbelievably difficult life, is now practically the only survivor of his era of leaders and comrades. In his eulogy, President Zuma said that the Sisulu name has become synonymous with the struggle for freedom, justice, human rights and human dignity, and that we were “laying to rest a stalwart and mother of the nation, who combined resilience and fortitude in fighting colonial oppression and Apartheid, with compassion for the poor and downtrodden.” What an apt description of an incredible woman. The service at Orlando Stadium was a deeply moving and beautiful send off to MaSisulu, who was finally laid to rest alongside her husband, Walter Sisulu. I only hope that I may learn from MaSisulu’s example to care more and to fight more for my fellow human beings. Two days later, a Zimbabwean man was stoned to death in Polokwane, “the city of love”. Oh, the irony. This followed numerous incidents of intimation of Zimbabweans in Polokwane, where Zimbabweans have repeatedly been attacked and assaulted, their homes and stores damaged and burnt and their possessions and goods stolen. The hateful xenophobia in Polokwane is reminiscent of that which broke out throughout South Africa in 2008 when a Mozambiquan man was burnt to death. Several people have since been arrested for the violence in Polokwane, including an ANC councillor who is believed to have led most, if not all, of the attacks against Zimbabweans. I just cannot begin to understand what could drive people to stone someone to death. It must be one of the most cruel and violent ways to kill someone, and it sickens me people would do that to someone for no other reason than because he is a Zimbabwean. A year ago, South Africa was welcoming foreigners with open arms, but it appears that such tolerance was maintained for little longer than the duration of the World Cup. Last week Julius Malema got a second term as President of the ANC Youth League. All I have to say about that is “shoot me in the face”. Now. Finally, after a difficult month thus far, we have the pleasure of hosting Michelle Obama and her two daughters, who are on a tour of South Africa. Today they’re visiting the Hector Pieterson Museum in Soweto, which is pretty cool as Youth Day was on 16 June. It’s been 35 years since the Soweto Uprising, when Pieterson was killed by police during student protests against Afrikaans being introduced as the medium of instruction in Sowetan schools. He was only 12 years old. The bravery of those school kids in 1976 totally astounds me. The theme of Michelle Obama’s tour seems to be the inspiration of woman and youth. 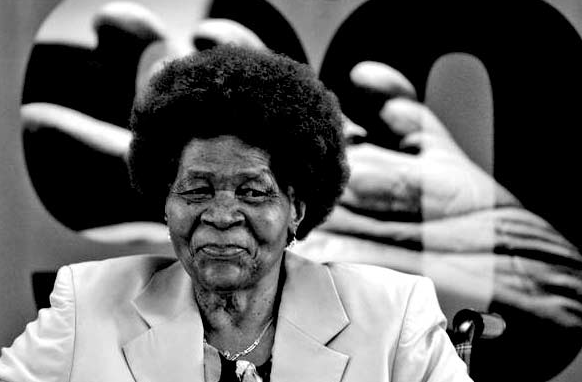 I can’t think of anything more fitting for South Africa right now than the inspiration and empowerment of women and the youth, in a month in which we’ve celebrated the contributions of Albertina Sisulu and the brave children of 1976 to the betterment of South Africa.